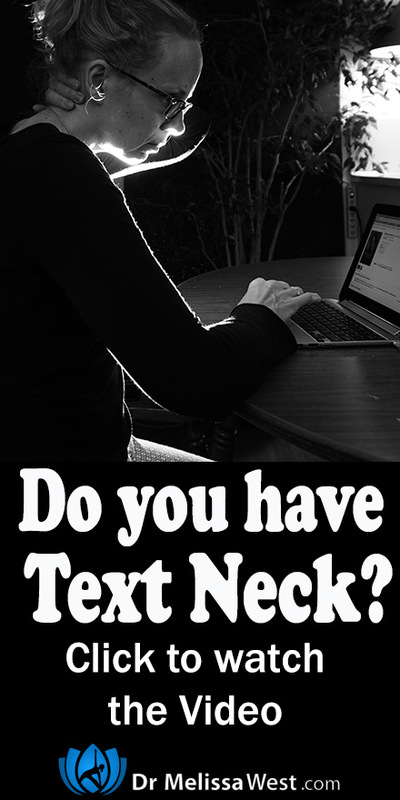 When you spend prolonged periods of time sitting in front of your computer screens and hanging over your cell phones and tablets, your head gets pulled forward and your spine is slumped back in a chair while your shoulders are rounded. Your head weighs about ten pounds when it is in its neutral position with your ears over your shoulders. For every inch your head moves forward, the load on your spine doubles. So imagine if you are focusing on your smartphone or our computer monitor and your head naturally and gradually shifts forward, what starts out at 10 pounds can very soon move upwards to 20 and 30 pounds. When your head gets pulled forward for prolonged periods of time, you will start to experience inflammation, muscle strain, disc herniation and pinched nerves. Over time the natural lordotic curve of your cervical spine can flatten out and even turn into cervical kyphosis. It is incredibly important that we vary our movements and give our necks some alternative movement patterns to the fixed and held positions that they are “frozen” into with computers, laptops and smartphones. Practicing yoga poses like cat pose will restore the natural alignment of your spine by moving your spine through flexion, extension, rotation and lateral movement bolstering your body’s support system. By moving your spine through its natural range of motion you will start to move your cervical spine again, rather than having it held in a fixed position in front of your body staring at a screen. Would you like more support in varying your movement patterns? In our membership community I offer my best, value-added, innovative and leading edge research with series of classes like Back, Neck and Nervous System RX. The series begins with a class that will help to overcome the time you spend in sitting, working at computers and interacting with hand-held devices that create immobility in your spine and move your spine out of its natural alignment. The first class benefits your nervous system, draws fluid into your intervertebral discs and benefits all parts of your back and neck and helps to build bone density. The second class in the series will offer modifications and variations for those with wrist, knee and neck issues as well as options for cat pose in a chair. The third class use the soft foam roller, the slo mo ball and the squash ball to help to keep your fascia hydrated, they help to maintain the mobility, integrity and resilience of your fascia by hydrating your fascia. The fourth class in the series will demonstrate how your nervous system can adapt much for easily when it feels safe. With the use of restorative yoga we can safely increase your range of motion in cat pose.The fifth yoga class uses acupressure and traditional chinese medicine to build your energy reserves and restore harmony and fluidity to your spine and entire being. The sixth yoga class provides options for each of the Ayurvedic doshas bringing balance to kapha, vata and pitta doshas. Finally a savasana for cat pose will allow you to move through your physical, mental, emotional, energetic and spiritual bodies, your chakras, Goddess archetypes, moon phase and ends with a reading from the Radiance Sutras.